Australian post-rock trailblazers sleepmakeswaves third album, Made of Breath Only, was scheduled for release on 7th April, imagine our shock when we saw on Facebook that it got an early release on the 24th March. Now that we’ve finally managed to put aside the dismay at our schedule being ruined we can finally bring you the review. 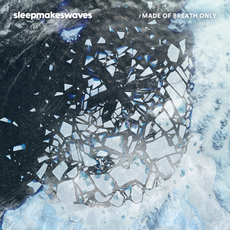 Simply put, Made of Breath Only is the bands best piece of work to date. Soaring post-rock dynamics wash over intricate guitar parts with tracks hitting big crescendos and jumping from blistering math rock-esque moments through to emotion laden flashes of serene post-rock. Coming in at just shy of a full hour it’s a beast of an album, but one that is wonderfully captivating and enthralling from beginning to end.